Orcas will mourn the loss of a baby, scientists say. This is a 2010 photo of an orca carrying a dead newborn, like Tahlequah did for 17 days last summer. Maybe it's universally recognized that a mother can face no greater loss than the death of a child. Or perhaps it's because the image of a mother carrying around the dead body of her baby for weeks on end is especially haunting. Whatever the reason, Tahlequah's public display of grief resonated with people, capturing attention and sympathy around the world. For 17 days this past summer, the killer whale swam more than 1,000 miles through the Salish Sea, pushing her dead calf just above the surface off the coast of Washington and British Columbia. Also known as J35, Tahlequah is a member of the endangered southern resident J Pod of orcas. Their numbers are dwindling, in large part due to a lack of salmon and diminishing habitat. In researchers' August 2018 photos, the whale is captured delicately balancing her baby's progressively discolored body as she moves through the sea in mourning. Weeks in, she finally lets go. Not long after, J50, another young orca in the pod, goes missing, apparently starved to death. 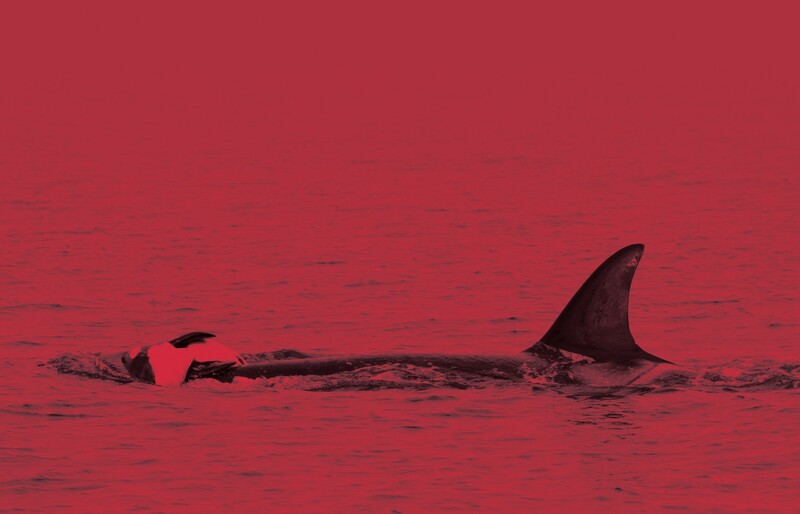 For many, the orcas' plight is much more than a devastating closeup look at the circle of life. It's a grim warning sign, an indicator of what's to come. Then came October, and the United Nations' latest climate report that delivered less-than-cheerful news: The world has little more than a decade to band together and drastically reduce greenhouse gas emissions if we are to avoid the most devastating impacts. Then in November, the U.S. released its own climate report, regionally showing which crops will suffer, which industries might fail. Interest spiked in climate change, with Google searches for the topic surging in the weeks the reports were released. The weight of the issue has certainly hit home for a lot of people. Just after the U.N. report drops, 32-year-old Maria sums up for an Elle article why she, like many millennials, doesn't plan to have kids, "If my hypothetical children were to ask me one day, 'Why did you bring me onto the planet knowing what a dire situation it was in?' there's no reasonable answer I could give to justify my actions. There's not much I can do as an individual to stop climate change, but I can do my part to not leave a future generation to suffer through global catastrophe." Suddenly, climate is on the agenda, activists say. The new freshman class in Congress has come in excited about the idea of a Green New Deal that could drive jobs and push the country toward clean energy sources. At the state level, Gov. Jay Inslee has announced that he and Democrats will push an aggressive climate-conscious agenda to get the state to 100 percent renewable energy by 2045. It all seems to put climate activists in a unique position to make 2019 the year of the climate. But if climate fighters are going to capitalize on this moment, part of the challenge facing them is how to motivate people to tackle the systemic contributors to climate change without driving them to the point of despair. How do you make the stakes real without making people feel anything they could do is already too little too late? "The challenge," says Jesse Piedfort, Washington chapter director for the Sierra Club, "is figuring out how to connect with people about the urgency of the problem in a way that inspires them instead of gets them to pull away." The thing about climate change is it's kind of the perfect threat, explains Dan Gardner, a journalist and author who literally wrote the book, called Risk, on how people analyze danger. "Climate change is — you couldn't design a threat better in order to avoid our sense, our feeling of danger," Gardner says. "It is extremely difficult for us to grasp on an intuitive level, to feel it's a threat." Part of that's due to how we're hardwired, he says. Modern psychology theorizes that we basically have two systems for making decisions. System 1, he says, is our intuitive, quick-thinking, experiential system. "If you are out for a walk and a dog approaches you and the dog snarls, you instantly have the sense this is a threat," Gardner says. "You didn't engage in any conscious analysis. You didn't look at the statistical prevalence of dog attacks. You knew it instantly." That's System 1, and for the vast majority of human existence, that's what rules our decision making. System 2, on the other hand, manages our analytical, logical, scientific thought, Gardner says, and that's the system that can grasp climate change. "System 2 can understand gradual increases in global temperatures, and increases of gas over decades and centuries," Gardner says. "But System 2 ... can't ring the alarm bell. It can't say, 'This is huge! Be worried! You've gotta do something!'" Gardner says that's why people overwhelmingly say in surveys that they agree that climate change is happening, that we're influencing it, and that something should be done, "but if you look at their behavior, it doesn't really reflect that, does it?" Well, you have to make it real, which is why Gardner says he thinks science fiction writers will really be the ones to successfully drive home the reality of what climate change could bring, and inspire people to take action. "We know what science says about climate change," Gardner says. "What we need are works of imagination that bring our feelings into alignment with what our brains know." Obviously, for some people, like the millennials choosing not to have children due to climate change, the situation already feels real. To many of them, it's purely a numbers game: Having fewer children, or none at all, is the single largest thing someone can do to reduce their impacts. In fact, not having a kid can save as much carbon per year as more than 73 people going vegetarian or 22 people living car-free, according to a 2017 study on how government education sometimes misses talking about the most effective actions. But what about those who already have children? Grandchildren? What about those who understand the threat, but don't want to think about it because it seems too depressing? What if it seems insurmountable? Generally, Gardner says he's skeptical of the idea that people will give up in the face of a huge threat if you make it real. If you're strapped to a chair and that snarling dog is coming for you, he says, you're not going to put your feet up and wait for the inevitable. You're going to fight. This fall's Camp Fire was the deadliest and most destructive wildfire in California's history, with more than 85 people killed and 14,000 residences destroyed. "My favorite illustration is in order to land on D-Day, there were five beaches at Normandy and no country could do it by itself," Gardner says. "The U.S. took two beaches, Britain took two beaches, and Canada took one beach. We worked together to figure out how we could beat the Nazis. If we could do that, we can do this." 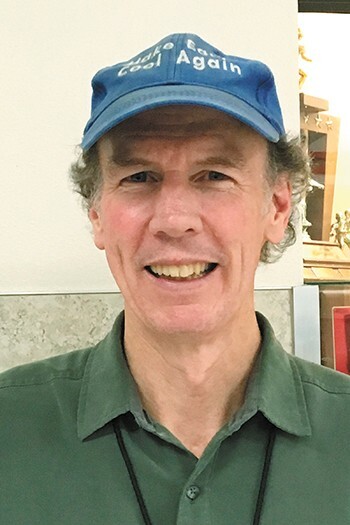 "The climate is indeed changing in ways that it has not changed in a long time," retired climate scientist Steve Ghan tells a packed auditorium at Sandpoint High School last week. "The fact is, we are responsible for that. It's not natural variations. It's also serious. It has consequences for us, and for life on Earth. And the good news is we can indeed stop it without hurting the economy." The audience listens quietly, though some shift uncomfortably in their chairs at the insistence that people are causing global warming. 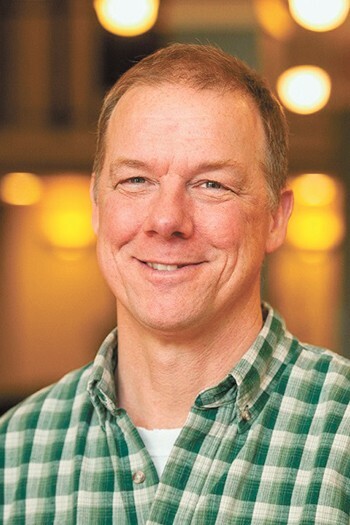 For years, Ghan worked as a climate scientist at Pacific Northwest National Laboratory in the Tri-Cities, and he was among the hundreds of scientists who helped put together international reports on climate change for the United Nations. It's not that Ghan necessarily expects many of the people in the audience at this Citizens' Climate Lobby event to be skeptics, but if the comments left by some Sandpoint neighbors on the group's Facebook page are any indication, skepticism is alive and well in North Idaho. Ahead of the Jan. 16 event, commenters point to everything from chemtrails to an alleged conspiracy by Al Gore to get rich, with most commenters calling climate change B.S., a one-sided liberal conspiracy, or a waste of time to talk about. "Have you dumbasses considered mother nature, global warming and cooling are natural," writes one man. "I'm sure you've heard, 'It's all natural cycles,'" Ghan continues during his presentation, noting that yes, there is a distinct cycle of cooling and warming that happens about every 100,000 years as the Earth orbits the sun. But then he shows a graph of every cycle for the last several hundred thousand years. At the far right of the graph, massive spikes in carbon dioxide and methane extend far above the highest peaks seen in any other cycle measured in ice cores. On the scale of time, the spikes have happened in the blink of an eye. A blink that started with the Industrial Age. "I am pretty optimistic actually, 'cause I think we do have a lot of successes that are out there right now." Ghan says that part of what drives people to doubt climate scientists like him — to doubt the overwhelming consensus that humans' dumping of pollutants into the atmosphere has drastically accelerated global warming — is a very sophisticated misinformation campaign. In front of the audience, he holds up a hefty, 900-page official-looking report on climate change. It was put together by the Nongovernmental International Panel on Climate Change, a project of the Heartland Institute, a conservative think tank that previously worked on behalf of Big Tobacco to raise doubts about the dangers of smoking. It looks awfully similar, Ghan says holding up another nearly identical book-sized report, to the climate report put out by the Intergovernmental Panel on Climate Change. That's the official report funded by the United Nations and regularly compiled in collaboration with scientists around the world. Thing is, the Heartland Institute report cites real studies, including Ghan's own work, but the information included is cherry picked, he says. 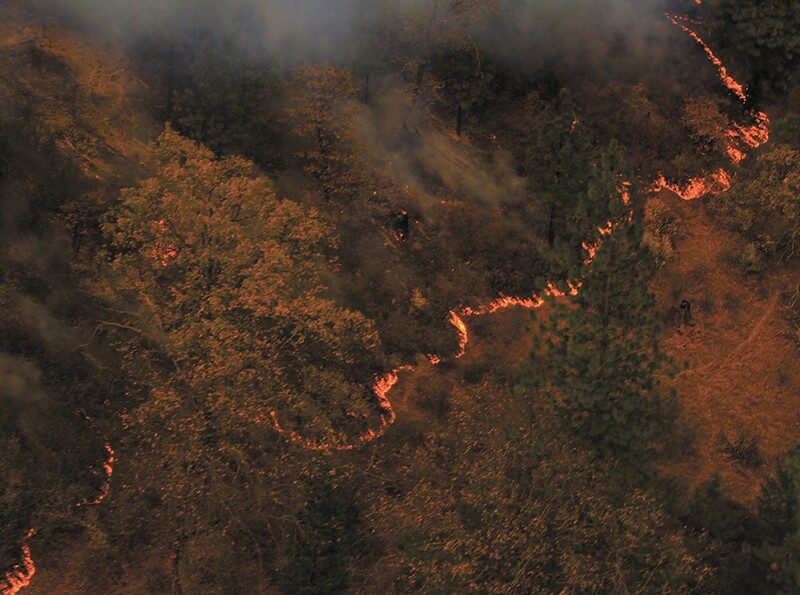 It's no better than other methods used to sow doubt, Ghan says, such as making false dichotomies like, "wildfires are either caused by climate change or by forest management." It doesn't have to be one or the other, he notes, it can be both. High school students who prepared presentations on climate change for the event know the discord well. Some of their classmates don't believe in climate change but completed the assignment anyways. Others care about it a lot, and worry for the future. "Personally, I'm very passionate about it," says 16-year-old Jaize-mae Miller, a junior. "Our current political climate will have to change. With millennials being conscious of it, it's good, but personally it looks pretty bleak." Miller says she's a vegetarian because she's conscious of the outsized impacts from eating meat, and she hopes to study environmental engineering when she goes to college. Anneli Wedemeyer, also a 16-year-old junior, says she was most surprised to learn about the negative impacts food waste has on the climate as it rots and emits gas. She also has a mixed outlook on the future. "The government should probably open their minds a little more and crack down on things," like greenhouse gas emissions and encourage transitions to hybrid vehicles, Wedemeyer says. "Some things have gone too far, but we can fix some things we've destroyed." To broaden their appeal, some climate-oriented organizations are starting to shift the way they talk to people. The Washington state chapter of the Sierra Club recently hired someone to help with just that, says chapter director Piedfort. "We just added a digital communications staff person," he says. "They're learning how to message our issues and how to have a conversational tone on social media. It's something we struggle with every day, this issue." They point to examples where effects are already being felt: decreased snowpack is leading to warmer streams and dryer seasons, which affects salmon, wildfire season, orca health and ocean acidification, Piedfort says. "It's actually here already, and people need to act on it, and the longer people wait to act on it, the more difficult addressing it is gonna be," Piedfort says. But there are also a lot of successes, he says. Solar and wind are getting cheaper and can now compete with natural gas and easily surpass coal. People are improving battery storage to address reliability of power when the wind isn't blowing and the sun isn't shining. And addressing climate change is wildly popular, even across the political spectrum — 77 percent of Americans believe carbon dioxide should be regulated as a pollutant, according to a 2018 Yale study. "I am pretty optimistic actually, 'cause I think we do have a lot of successes that are out there right now," Piedfort says. "Maybe we need to do a better job talking about them." For the people working in the field, the negative realities are front and center every day, and it can be hard even for them not to get discouraged. Sam Mace, the Inland Northwest Director of Save Our Wild Salmon, has been working for 30 years on conservation issues and at least 20 years on efforts to remove the four lower Snake River dams. What keeps her from throwing up her hands in defeat? "Admittedly, some days I feel discouraged," Mace says by email. "But I'm lucky to work on behalf of a species that is incredibly resilient. Their life history is the paragon of resiliency. And how salmon hang on and manage to survive and even thrive in the face of all humans have done to alter river ecosystems is amazing." Having lived in the Inland Northwest for a few decades, Mace says she already notices changes in the seasons. As a gardener, she's had to shift her planting times as warm weather hits sooner. When walking her dog, milder winters stand out. The best way she can think to appeal to people is to get them motivated to engage in politics, where major actions will be necessary. "What I find most hopeful is that around the country and especially on the West Coast, we're seeing real innovation and engagement on climate change at the city levels," Mace says. "A lot of good policies for climate change are good fiscal policies, and I think it's good where you can align those sort of issues, and not get wrapped around the action of debating climate science." Indeed, the question of debating climate science and how much people contribute to global warming is a very real challenge for environmentalists in North Idaho. Nancy Gerth, who is on the steering committee of 350 Sandpoint, says she and others have pretty well stopped arguing whether or not things are happening, and tried to shift the conversation to solutions. "It's always been the idea of the corporations to try to get people arguing whether it's real or not rather than looking at what the solutions are," Gerth says. "We said, at a certain point, 'We're not even going to talk about that anymore.'" By focusing instead on the real issues, such as wildfires that ravaged the region in recent years, volunteers were able to work with the timber industry and state, county and federal officials to talk about how they're managing and addressing fires. "I learned that just talking about a related issue did promote discussion of climate change. We didn't even have to bring it up," Gerth says. "That was an important lesson in how people think about these problems." 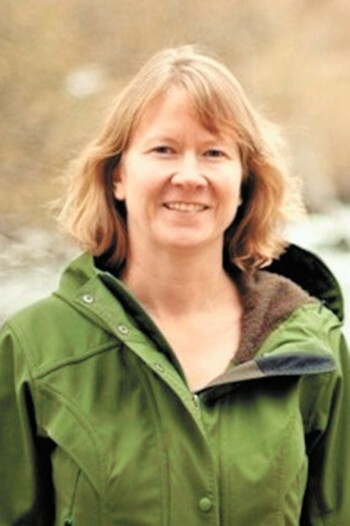 Gabrielle Duebendorfer, who helped found the Sandpoint chapter of Citizens' Climate Lobby, says she's looked to a national model for polite conversation called Living Room Conversations to host regular meetings with women in the area and bridge the divide. "The purpose was to invite women from opposing political spectrums to talk about issues that are important to all of us," Duebendorfer says, "and understand more what our common values are and how we're differing." "That came out of the conversation we had really honoring each other instead of bashing each other." The political divide can be so extreme on both sides, she says, that people struggle to really hear what the other side is saying, demonizing them rather than trying to understand where they're coming from. The group is meant to push through that, finding humanity in the other members. Part of that is realizing that the other side isn't stupid, Duebendorfer says, but they're prioritizing other values that may still cover common ground. In one instance, the group was talking about the misconception that current changes are just part of the natural cycles in climate. One of the liberal members of the group said current measurements show we've far surpassed anything in those previous cycles, Duebendorfer says. "Then, one of the ladies said, 'I'm a creationist and I don't believe the world was here 800,000 years ago, but I still can take responsibility for taking care of our Earth and our environment,'" Duebendorfer says. "That came out of the conversation we had really honoring each other instead of bashing each other." Many conservatives don't want to see the government grow, Duebendorfer says, which is partly why she's so motivated to share the solution being pushed by Citizens' Climate Lobby nationally. The organization is pushing for a carbon fee and dividend that would put a price on carbon pollution, and return the proceeds to every citizen via the dividend. "I know from everybody I talked with, stewardship of the planet is hugely important for conservatives," Duebendorfer says. "That's where we can meet." The bipartisan solution wouldn't require much more administration than sending out Social Security checks, Duebendorfer says, and importantly, would reduce pollution without pinching low and middle income families in the pocketbook, as the dividend would offset increased fees. "We're asking the industries that pollute and have a huge social cost, we're asking them to be accountable," she says. One of the things that maybe gets lost in the overall discussion, Piedfort says, is that progress is good, even if the warming goals are missed. A full 70 percent of Americans agree that global warming is happening. Only 41 percent believe global warming will harm them personally, even though 70 percent believe it will harm plants and animals and hurt future generations. The ocean has helped reduce warming impacts — it's absorbed 93 percent of the heat trapped by greenhouse gases, the New York Times reports. The Times reports the ocean is also warming 40 percent faster than once thought, which is bad news for marine species. 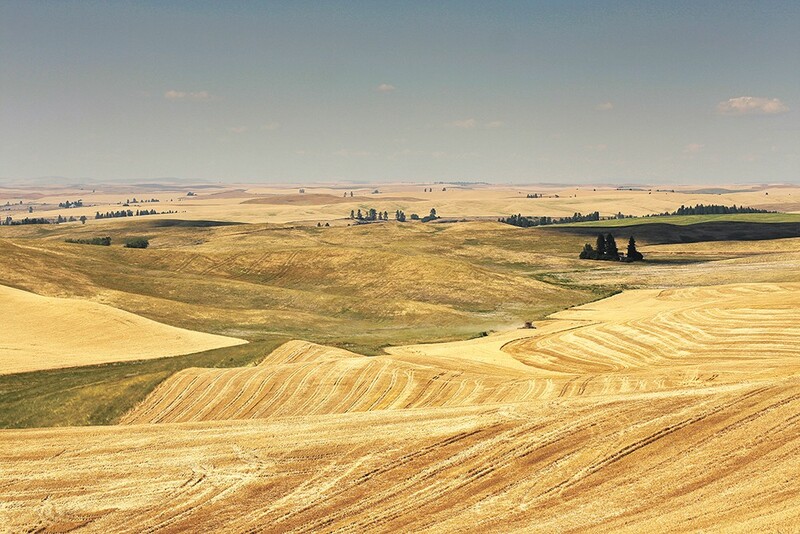 Wheat yields are expected to get better as the climate in the PNW continues to warm up, according to the Fourth National Climate Assessment. The heat won't be as welcome for fruit crops, livestock or fisheries. Wind is now competitive with natural gas. Even with new wind and solar projects open, U.S. carbon emissions went up in 2018 for the first time in a few years, putting places like Washington state farther from its 2030 emissions goals. We asked environmentalists and climate scientists: What do you do to reduce your impacts on climate change on a daily basis? Jerry White, Spokane Riverkeeper, says he lets his lawn go to brown in the summer, tries to bike or walk more often and is working to reduce his plastic consumption. "I come way off of the big picture in many ways and address the little picture," White says. "Things like beginning to become hyper aware of your water consumption is a positive thing we can do in the face of a warming climate." Sam Mace, Inland Northwest Director for Save Our Wild Salmon, says she tries to be mindful of how much she drives, which products she uses and how far away her food is coming from. "Those things make me feel a little better, but I'd also just encourage people, we have initiatives happening at the local level, at the city of Spokane and at the state level," Mace says. "Individual engagement in that, talking to elected leaders ... that can have real impacts. For my issue, this coming year is going to be a super critical one on the Snake River front with Gov. Inslee calling for studying dam removal." 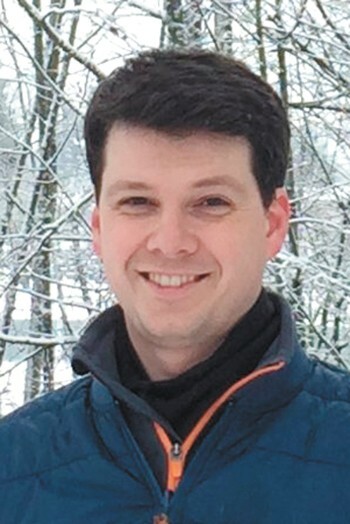 Jesse Piedfort, Washington Chapter Director for the Sierra Club, says it's important to remember you don't have to do everything or be perfect to make an impact. He has eaten meat his whole life, but is now doing Meatless Mondays. To avoid single-use plastic, he brings jars and containers when shopping at the grocery store. Living in Seattle, he also walks and bikes rather than driving, but he understands some people need to drive and thinks it's important not to shame people for that. "Not everybody is going to take cold showers and totally eliminate all plastic products and walk and bike everywhere. That's not feasible for everybody," Piedfort says. "But if you can maybe pick a couple of those things and make progress, that's really good and empowering." Steve Ghan, a retired climate scientist, says he and his wife decided to buy a hybrid when they recently upgraded their car. He also rides his bike, became a vegetarian a year ago, and the last two long trips he took were by train, including a jaunt to Washington, D.C., in December, which avoided the much larger impacts of a flight. He recognizes it's hard for some people to get motivated, but points to the feasibility of solutions like a carbon fee and dividend and the benefits of a cleaner environment. "As a species, we're just not wired to deal with a slow threat. We're great at jumping when something sudden happens, but with a slow threat, we're like the frog in the pot of water on the stove. Boy, it's hard for us to get motivated to jump," Ghan says. "That's why we emphasize the health benefits and the economic benefits of action. And also just think about your grandchildren, what kind of world do you want to leave them?" Samantha Wohlfeil covers the environment, energy, climate changes and other issues for the Inlander. 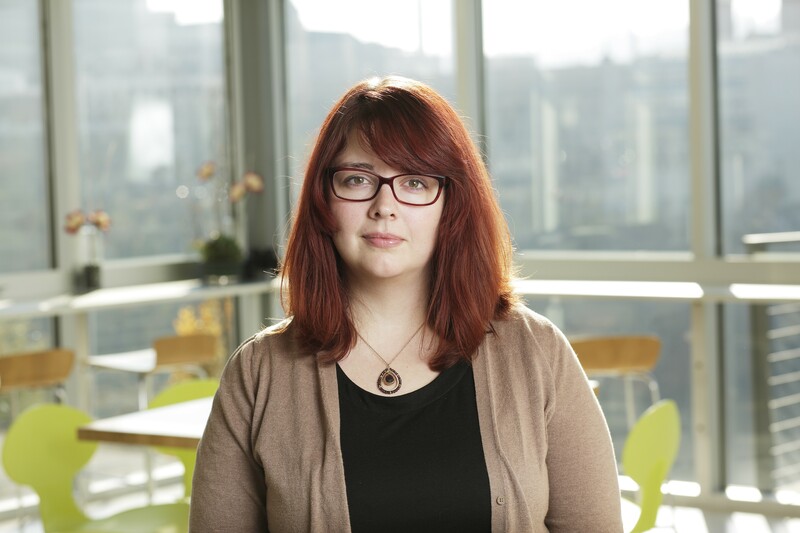 Before joining the paper in 2017, she worked as a political reporter at the Bellingham Herald. She can be reached at samanthaw@inlander.com or 325-0634 ext. 234. The original print version of this article was headlined "Act Now! The World is Ending"